Texas companies that export generate five times higher revenues than their non-exporting peers. For the past several years, Asian nations have represented the top export markets for Central Texas companies. In fact, Japan is regularly ranked among the top five export markets for our region. 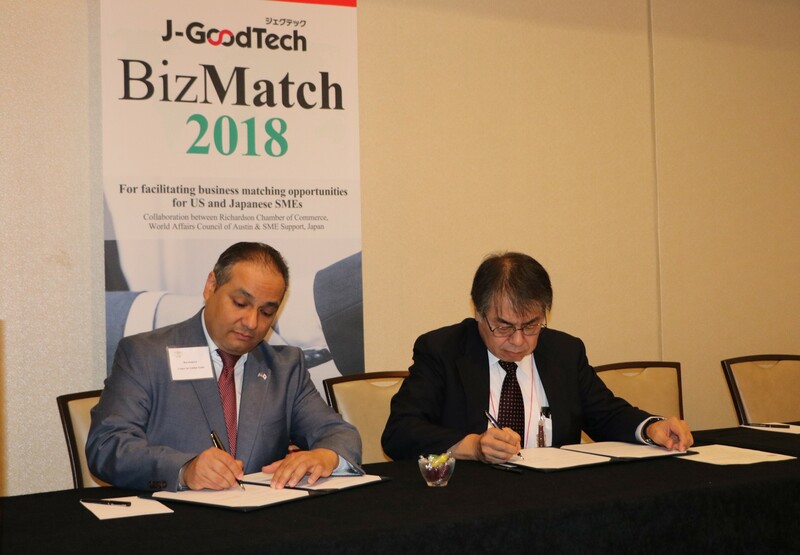 In order to build upon this foundation and create new trade opportunities for Texas companies in this dynamic market, the Center for Global Trade has established an MOU with J-GoodTech, a division of the Organization for Small and Medium Enterprises and Regional Innovation – Japan. 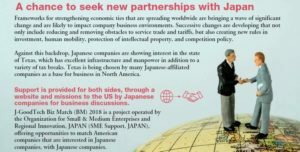 This partnership is specially tailored to connect Texan companies – via an online platform – to potential customers and partners in Japan. Last week, several Texas business executives eagerly greeted the visiting representatives of 24 Japanese companies seeking Texan R&D, JVs, sales, purchasing, distribution, ODM, and other partners in the manufacture of: Semiconductor; Cleantech; Machinery; Computer & Electronic Components; Electrical Equipment & Appliances; Aeronautic and Automotive; Fabricated Metal Products; Medical Devices; Remanufactured Goods; and Food Packaging. J-GoodTech is comprised of approximately 8,100 qualified Japanese SME members in a wide-ranging list of industry sectors. These companies have operations in Taiwan, Thailand, Vietnam, Indonesia, and Japan. 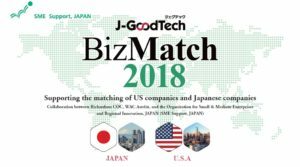 Texas companies seeking to be listed on the BizMatch online platform and connect with Asian counterparts are encouraged to complete the form located here.